Here are our picks of the week from Instagram. This week we highlighted things from our shop. 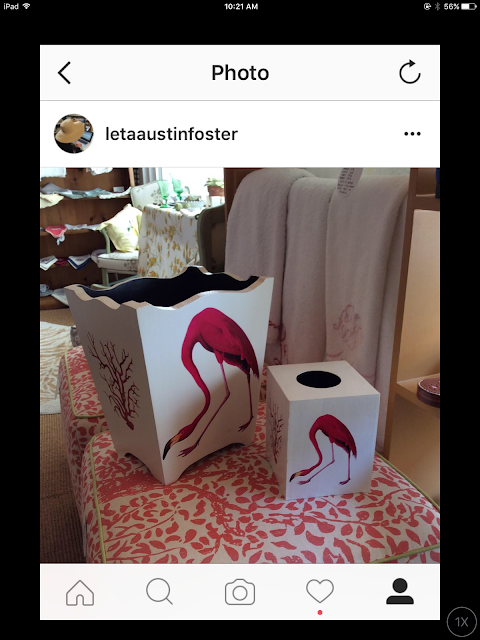 We went for a Flamingo theme which is a favorite in a Florida store as you might imagine ! A limited edition wooden wastebasket and tissue box from Palm Cottage Goods, with decoupaged flamingo on front and back and coral on the two sides. Flamingo engraved notecards with lined envelopes from Dempsey and Carroll. 10 to a box. Letterpress mini note cards and envelopes from Pickett's Press. 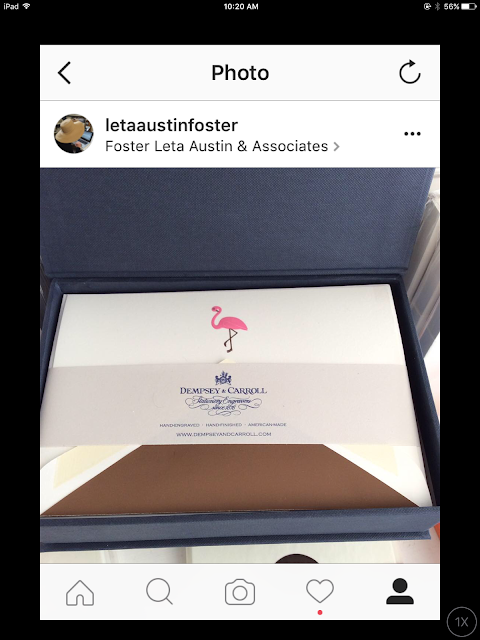 6 to a box and we can personalize them in shop in 2 days. 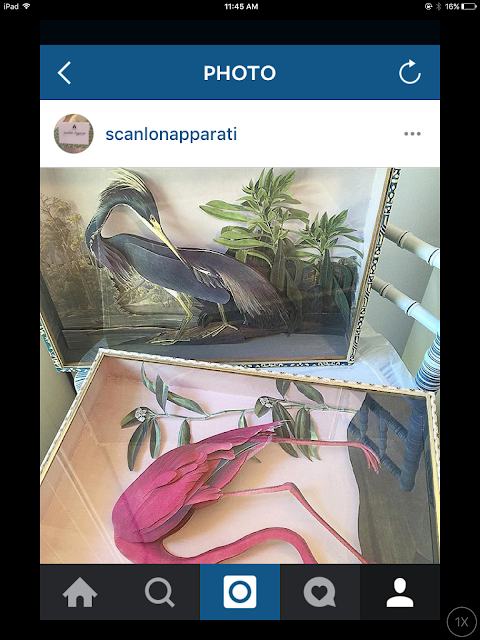 Not yet in, but we have these fabulous 3D Flamingos and Blue Heron Diorama Wastebaskets on order from Beth Scanlon. They are unique works of art ! 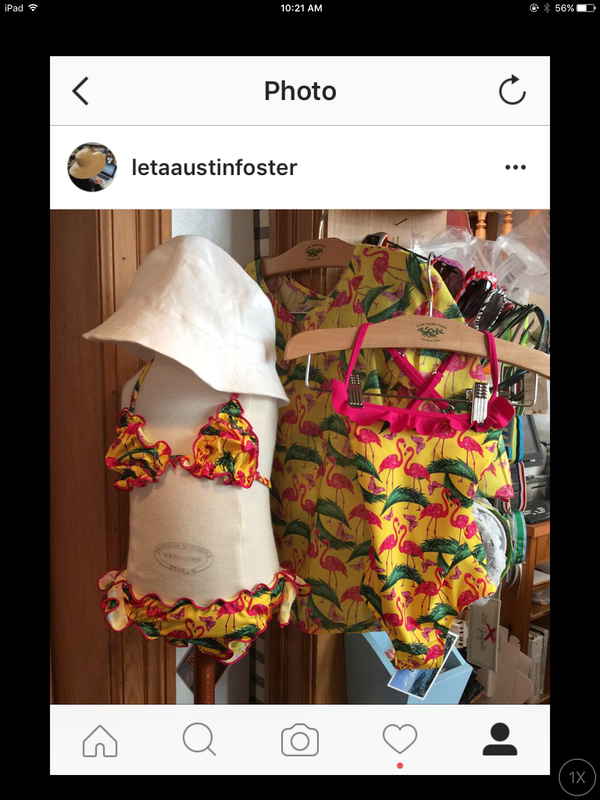 The newest addition to our swimwear collection, the flamingo bikini and one-piece from Saint Barth are the most adorable things. 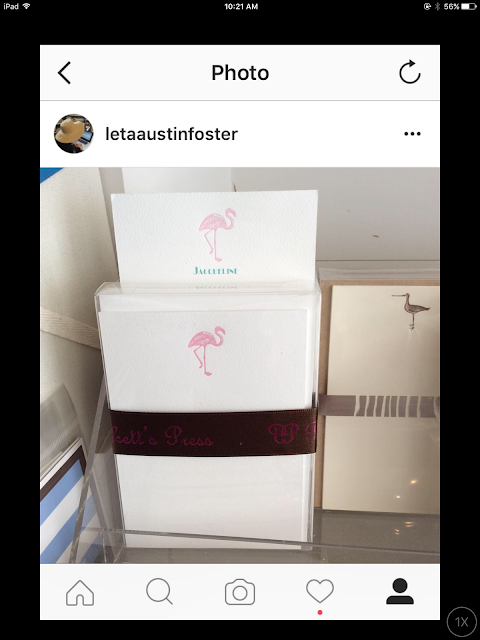 Check out my Instagram account LETAAUSTINFOSTER for more exciting snaps of my store, my design jobs and all things that catch my fancy.